Fees Calculation Service or “Fee Calc” allows users to compute fees on trades based on EGUS agreements and rate schedule details. 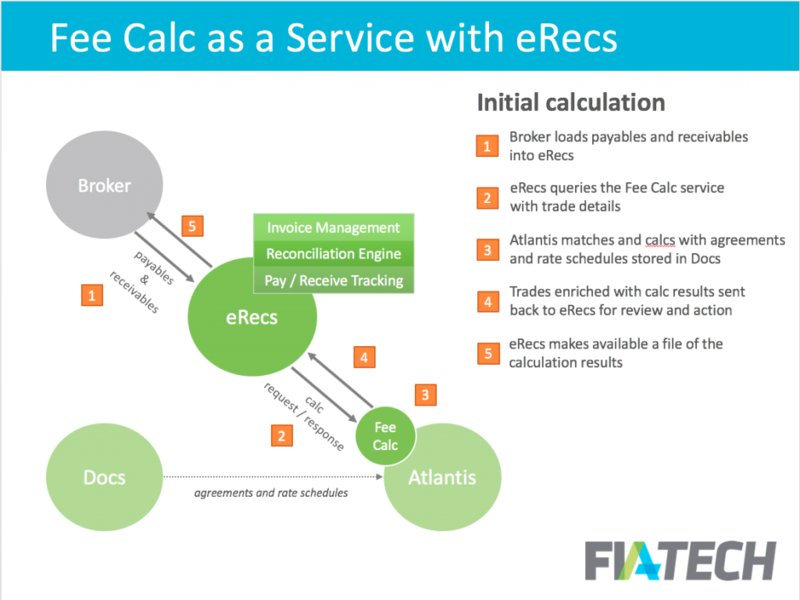 The service can be used in conjunction with FIA Tech’s reconciliation service, eRECS, or on a standalone basis (Fee Calc as a Service) easily integrated into a firm’s internal system. 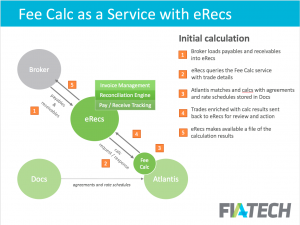 For each trade received into the system, the Fee Calc will match transaction details against the client’s executed agreements and rate schedules stored in EGUS. If successful, the trade shall be stamped with a rate, rate type, calculated fee amount, currency, and matched agreement ID. Upon completion, all trades now enriched with fees will be relayed back for review and action. The process repeats at any change/update to the EGUS agreement.